The above info came from Who Wants to Know?, and was edited by yours truly (contact me). 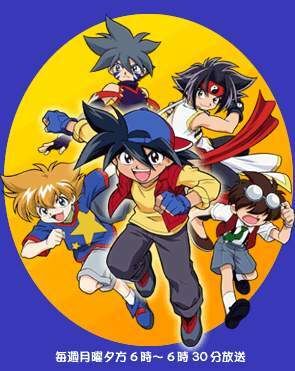 The image came from The Ultimate Beyblade Super Site. A new year... a new tournament... a new challenge... the same old Bladebreakers. It's time to "let it rip" one more time. A year after they stunned the world by defeating the Demolition Boys in the world championship, the Bladebreakers are coming back together to take on the next level of Beyblading. Hope they're ready for anything, because if they thought last year was intense...they ain't seen nothing yet.